Plant-based milks are milks made from grains, beans and nuts. Plant milks are great alternative milks for those looking for lactose-free, gluten-free, heart healthy low fat, and especially - cruelty-free products that don't cause animal suffering. But how do you choose the best? The creamiest? The most drinkable? Here's how! 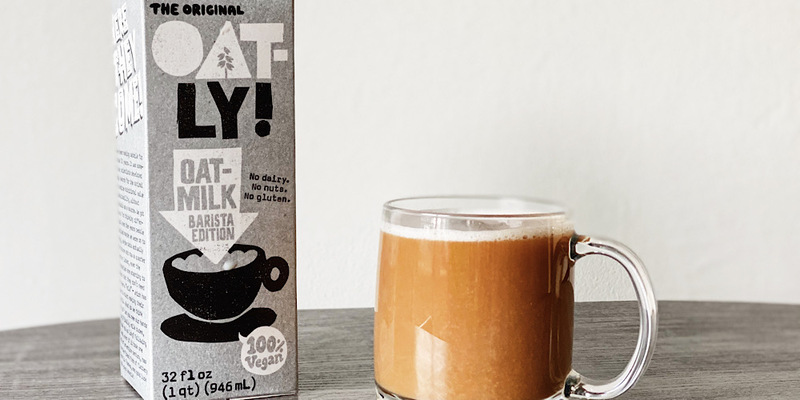 Whether you like your milk creamy or light, plain or sweet, whether you put it in your coffee, cereal, smoothies, cookies, or mac and cheese - there’s a plant milk for you. Here’s a guide to popular milks, complete with a breakdown of taste, use, and nutrition, plus additional info collected during a private double blind taste test of a dozen self-confessed milk-loving vegans, veggies, and omnis, and which milks they loved most. Almond milk's deliciously creamy and mild nutty flavor compares to cows' whole milk because of it's thick and even consistency. It's a popular favorite among vegans and veggies because it's creamy but not overpowering. It's super smooth, deliciously creamy, extremely versatile, and pretty widely available all around the world. Almond milk can easily be enjoyed straight by the glass, used on cereal or in smoothies, and cooking and baking recipes. Almond milk is super high in calcium, and a good source of vitamins E and D. A cup of Trader Joe's almond milk is 40 calories, 1 gram of protein, 2 grams of carbs, and 3 grams of fat. Definitely one of most popular tasting and creamiest plant milks, cashew milk is thick yet light and doesn't have an noticeable nut flavor. People often compare cashew milk to whole cow milk because it's super creamy. Cashew milk is super delicious, extremely versatile, and made by many brands. Because cashew milk is so creamy yet not nutty in flavor, it can easily be used as any milk product. Cashew milk is an excellent source of Vitamin B12 and Vitamin D. An average cup of So Delicious cashew milk is 40 calories, 1 gram of protein, 2 grams of carbs, and 4 grams of fat. Coconut milk is the lightest and most refreshing of all the plant-based milks. It’s super smooth, mildly creamy, and comes with a deliciously subtle sweet coconut flavor. If you love coconut, you’ll love coconut milk, which is sometimes called coconut beverage to distinguish it from the canned milk. Coconut milk is great to drink straight, perfect for smoothies, and it works well in all coffee drinks. Coconut milk is soy and gluten free, and a good source of calcium, as well as vitamins D and B12. A cup of Trader Joe's coconut beverage is 60 calories, 5 grams of fat, and only 1 gram of carbs. Flax milk, the most popular, won over everyone in the taste test, and was described as being similar in taste and texture to cow milk. Flax milk has an ideal milk consistency, color, and taste. It's light, refreshing, and with no noticeable flavor. It's just a delicious drink. Flax milk is great to drink straight, it works perfect in coffee, in smoothies, or in cereals, and it’s also a great addition to any cooking or baking recipes, including vegan cheeses and creamy sauces. This one can really be used for anything. Flax milk is soy and nut free, and is a total nutrition powerhouse with 1200 msg of omega 3s a serving. One cup of Good Karma flax milk is 25 calories, 2.5 grams of fat, and 1 gram of carbs. Hazelnut milk has a light, pleasantly sweet taste with a subtle nutty flavor, similar to almond milk. Hazelnut milk works great in cereals and in recipes requiring a lighter milk or froth. It's also yummy to drink by the glass. Hazelnut milk is soy-free and a great source of calcium and vitamins D, B2, A, and E. One cup of Pacific hazelnut milk is 110 calories, 3.5 grams of fat, 19 grams of carbs, and 2 grams of protein. Hemp milk, made from hemp seed, is very light, not that creamy, and has a slightly more unusual flavor profile often described as either grainy or grassy. Hemp milk can be enjoyed by the glass and works best in cereals and in recipes calling for a lighter milk. Hemp milk is a nutrition dynamo, boasting omega 3s, calcium, and vitamin D, and has all the essential amino acids. One cup of Pacific hemp milk is 60 calories, 4.5 grams of fat, and 3 grams of protein. Macadamia milk is a plain milk that tastes a lot like macadamia nuts. It’s thicker and a bit creamier than most plant-based milks. This one is quite pleasantly addicting to drink. Macadamia milk is ultra delicious to drink straight by the glass and also works great in cereals and in smoothies. Macadamia milk is super high in vitamin B12, and a good source of vitamins D and A. A cup of Milkadamia milk is 50 calories, 5 grams of fat, 1 gram of carbs, and 1 gram of protein. Oat milk is slightly darker in color then the other plant milks, although it doesn’t have much noticeable flavor to it. It’s very light and airy, and most similar in texture to fat-free skim milk. Oat milk is drinkable by the glass and can also easily be substituted as a light milk for cereals, oatmeals, or baking recipes. Oat milk is a good source of vitamins D, 2 and A. A cup of Pacific oat milk is 130 calories, 2.5 grams of fat, 24 grams of carbs, and 4 grams of protein. Pea milk is hands down the absolute creamiest of all plant-based milks. It’s super thick, dense, and utterly luscious. Pea milk compares most closely to full fat whole milk. Chocolate flavored pea milk is a chocolate milk lover’s heaven. Because of its thick and almost oily viscosity, pea milk is an excellent coffee creamer and works great in cooking and baking recipes since it helps act as a binding agent. Pea milk is soy and nut free. It’s a good source of calcium and vitamins D and A. A cup of Ripple pea milk is 70 calories, 4.5 grams of fat, and an amazing 8 grams of heart healthy protein. Peanut milk is thick and creamy and tastes exactly like creamy peanuts. It's consistency is pretty similar to low-fat milk in texture but still light enough to drink. Peanut milk is great in coffee, works in smoothies, and in baking recipes like cookies where a nutty flavor works. Peanut milk is gluten-free and a great source of potassium and calcium. A serving of Elmhurst peanut milk is 150 calories, 11 grams of fat, 6 grams of carbs, and 6 grams of protein. Pecan milk has been called a surprisingly tasty plant milk. Often in vanilla or maple flavors, pecan milk tastes just like your cereal bowl milk tastes - light and sweet, with a hint of nuttiness. Pecan milk is amazingly delicious straight from the bottle and stellar in cereals, oatmeals and cookies. A cup of Malk cold pressed pecan milk is 140 calories, 11 grams of fat, 9 grams of carbs, and 1 gram of protein. Rice milk is a very light milk with an almost watery texture. It closely resembles an ultra light skim milk. Rice milk is perfect for milk drinkers with a sweet tooth. Unsweetened, it’s still on the sweet side and vanilla flavored is sweeter. Rice milk lovers swear by this stuff because it’s a great, easily drinkable alternative for those allergic to lactose, soy or nuts. It’s also an easy sub in smoothies, cereals and baking. Rice milk is a good staple to have on hand. Rice milk is a good source of calcium, vitamin D and vitamin B12. One cup of Trader Joe's rice milk is 120 calories, 2.5 grams of fat, 23 carbs, and 1 gram of protein. Soy milk is the original plant milk and is widely available worldwide. It’s been around forever and is the prefect staple because it’s super versatile. Soy milk is creamy in texture, light and refreshing, and comes in many flavors like vanilla, chocolate, strawberry, and egg nog. Soy milk is so versatile as a milk that it works great in everything - by the glass, in coffee drinks, cereals, smoothies, and in all cooking and baking recipes. Soy milk can do anything. Soy milk is a great source of calcium, vitamin D and B2. A cup of Westsoy soy milk is 70 calories, 10 grams of carbs, and a whopping 6 grams of protein. Walnut milk is slightly darker color milk, very light in consistency, and with a subtly sweet maple-like taste. Walnut milk is great to drink straight by the glass. It also works out well in coffee and smoothies if you're looking for a lighter consistency milk. Walnut milk is gluten-free. A serving of Elmhurst is 130 calories, 11 grams of fat, 5 grams of carbs, and 3 grams of protein.